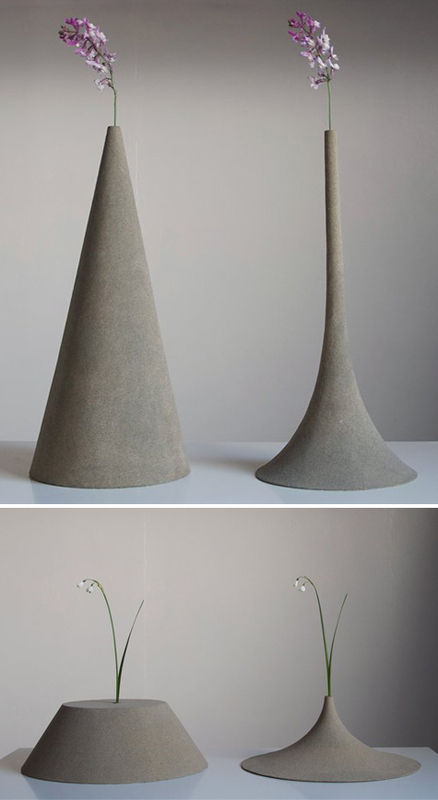 Lovely sand vases, by Yukihiro Kaneuchi, based off the game of Bou-Taoshi. Have you heard of this game? Players make a heap of sand and place a branch in the center, then each player takes turns removing sand. The one who causes the branch to fall loses. It is a common sight in several Japanese temples, where the conic shape represents where god first came in the mythological age. The sand heap is also considered to be an object representative of a divine spirit.